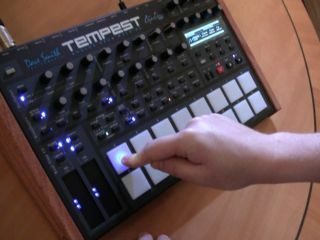 We first saw the Tempest at NAMM at the start of the year. There was a huge buzz around the device, due to the fact that this was a collaborative project by two of music technology's founding fathers: Dave Smith and Roger Linn. This makes it the first ever product to carry both logos. Check out the video above and see us unbox the newly delivered unit and find our way around its sounds. Full video review and fresh audio examples coming soon! Leave any questions you want answering in the review in the comments section below.